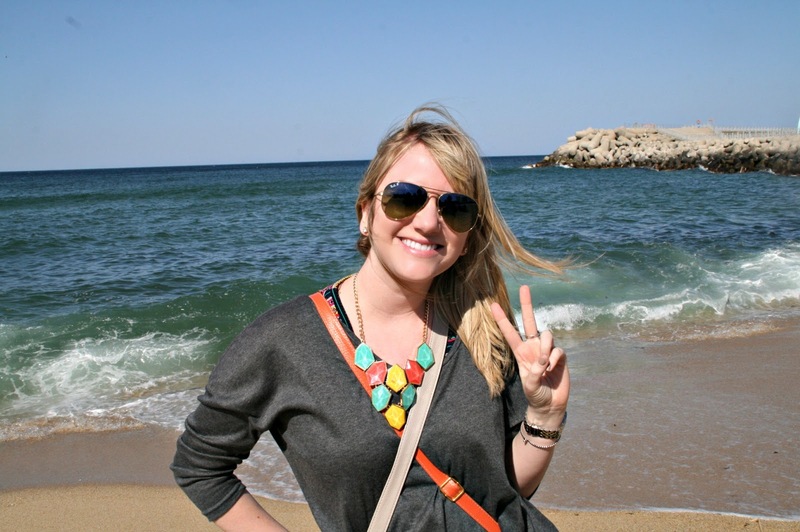 This blog is a couple days past-due, but I have a good excuse, I promise! I will get more into that in the next post, but basically I've been having some eye trouble. 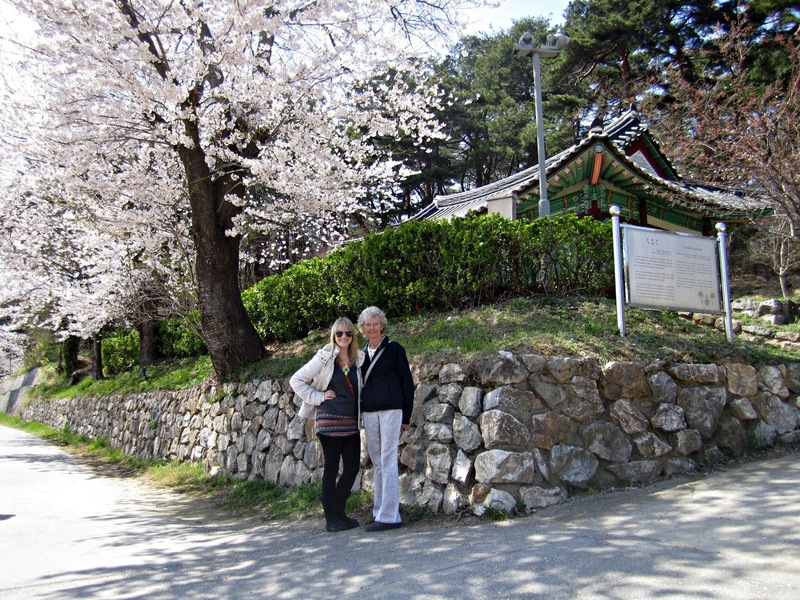 But, Sunday Gramma and I went on a Meetup trip to Gyungpo to see the cherry blossoms! We got up super early to get ready and meet the bus at Apgujeong Station. It was a pretty large group - around 45 people. We grabbed some Starbucks before heading out, thankfully because I was starting to get "hangry" (think: hungry + angry). We got seats near the very front of the bus. Harry, the group organizer, made everyone say they're name, where they're from, and why they're in Korea. 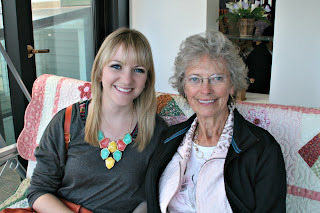 When Gramma said she was visiting her granddaughter here, people clapped for her! It was so cute. 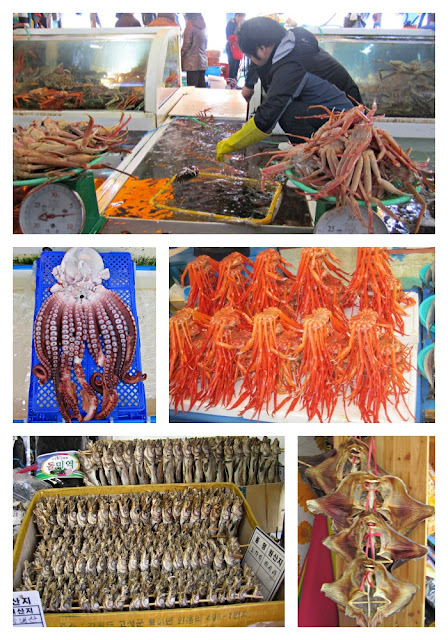 We had around a 3 hour trip, and our first stop was a fish market. This had not been on the agenda, but it was interesting. We stayed there around 30 minutes, enough to get some interesting photos. We saw dried sting rays, dried and live squid, some octopus, loads of crab, and dozens of types of fish. Harry and some of the others from the group chose a fish and a lady there killed and cleaned it and they ate raw fish. We decided not to do that; but, talk about fresh fish! We loaded back up the bus and drove around 30 minutes to Gyungpo Lake where the cherry blossoms were. 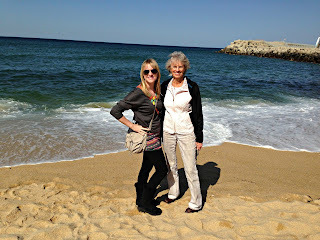 There was also a beach right next to the lake, so we got to see both sites. The cherry blossom trees were really beautiful but the wind was outrageous! The horrible wind made me a little miserable. Gramma had some Korean soup and I had bibimbap. It was alright, but Gramma enjoyed her soup a lot so I was glad. We ditched the guys and walked around the lake for a while. There were lots of people, many couples and families. It was such a beautiful day (minus the wind!). We ended up going over towards the beach about an hour before we were done, and it was so beautiful! I was surprised! 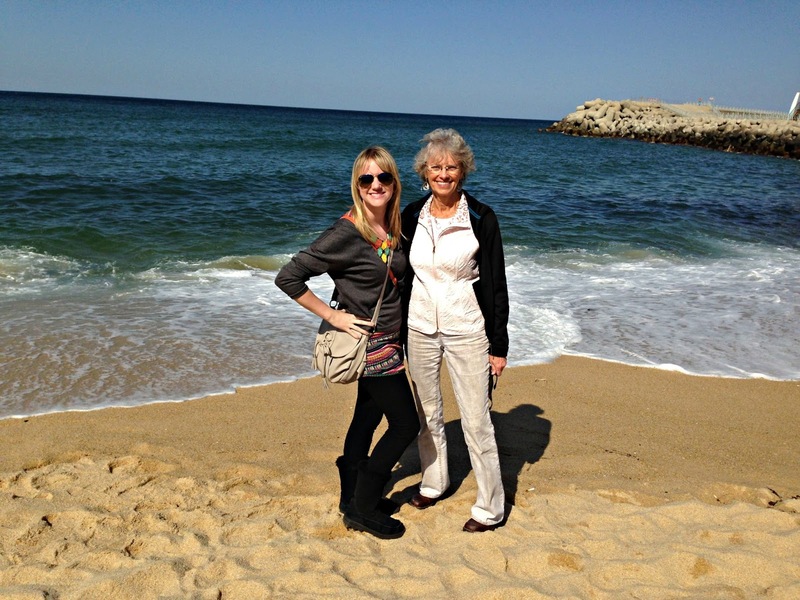 We were fairly far north, not near the southern beaches which are most famous in Korea. But it was really pretty! We sat and talked for a while then headed back to the bus. I was getting pretty hot since in Seoul it was rainy and cold, I had worn fleece longjohns under my leggings. After we left there, we went to Anmok beach. Harry insisted we take some jumping photos and walk along the beach (despite the continuing wind tangling my hair into a mess). Then we went to a coffee shop near the beach. The road running paralell to the beach is stuffed chock-a-block with coffee shops, so we just chose on that looked good. It was such a cute place, with a great view of the ocean! Finally around 5pm, we headed back to Seoul. It was a long trip back, around 4 hours because we hit such bad traffic. I slept a little, and we finally got back to my apartment around 10pm. It was a long, exhausting day! Awesome post; your pics are beautiful. You're so lucky to have your gramma visit.